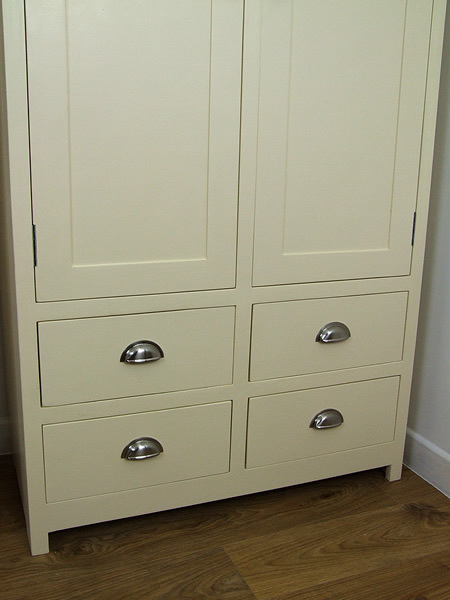 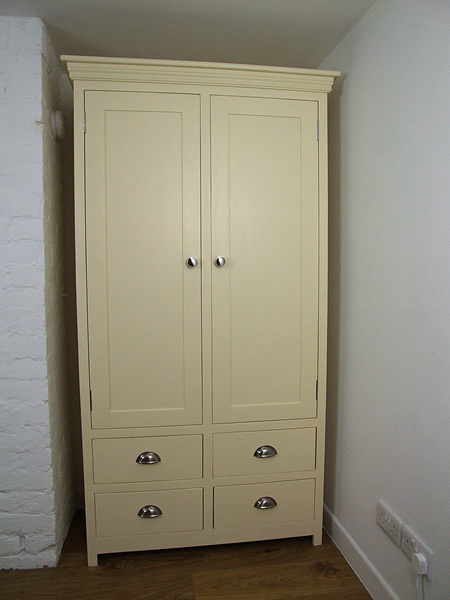 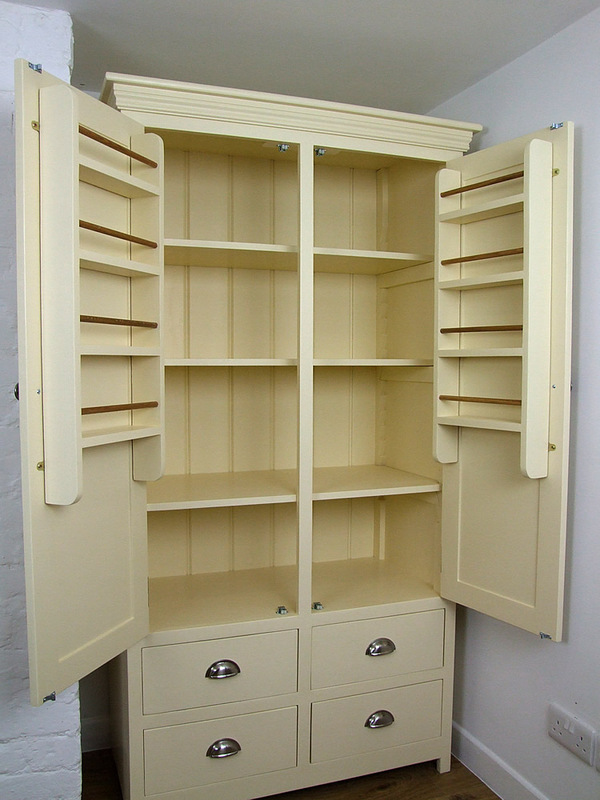 All larders are hand-made to order and can be made in any size, configuration and colour. Any choice of door handle or knob can also be substituted for the metal ones shown. 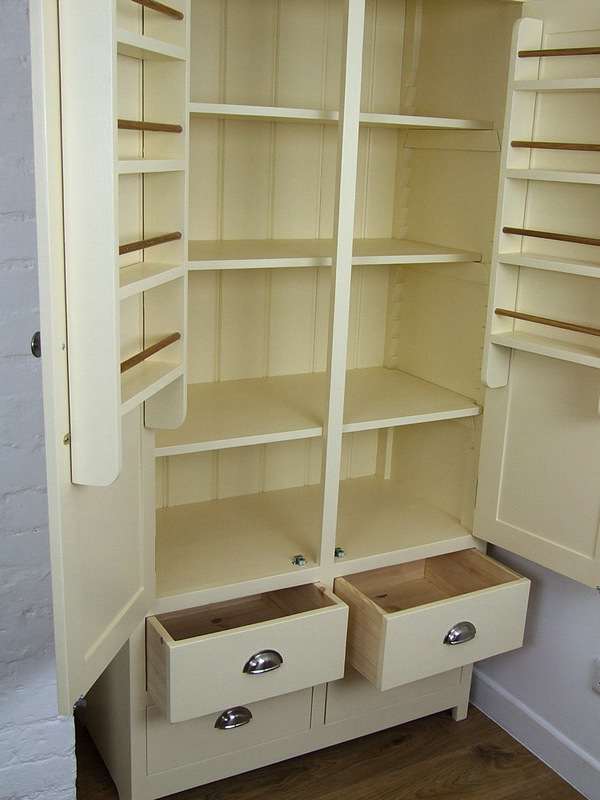 Traditional & attractive 'saw tooth' adjustable shelf support system. 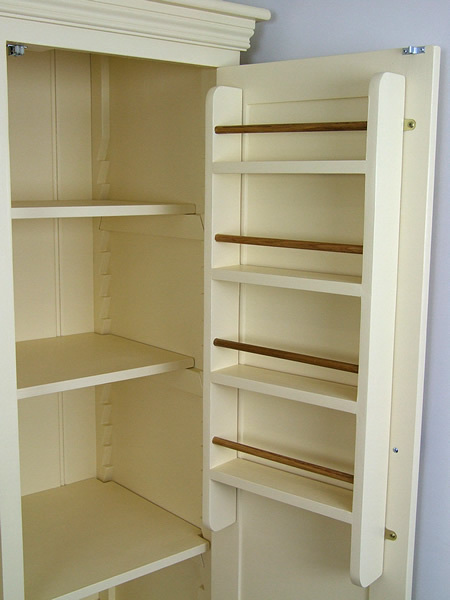 3 fully adjustable shelves in upper section.